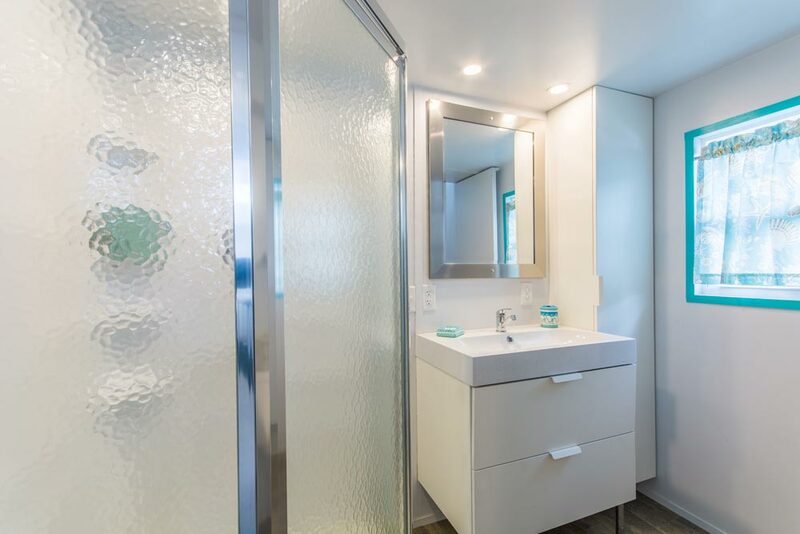 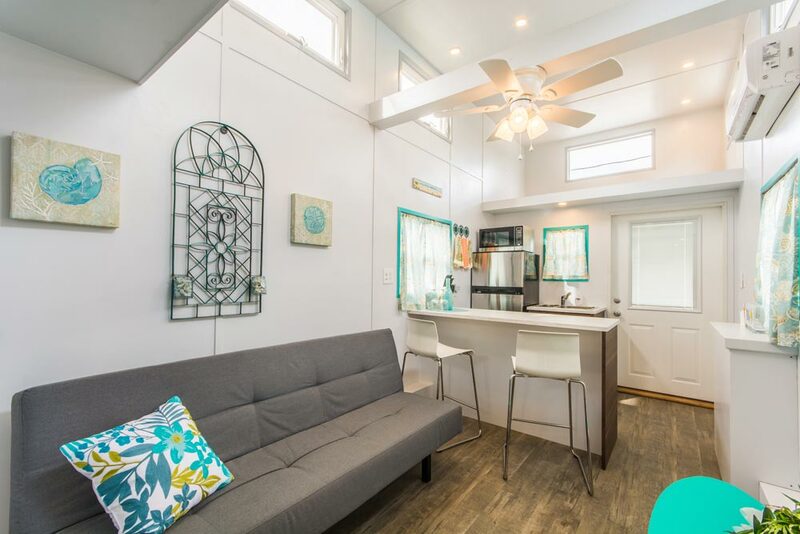 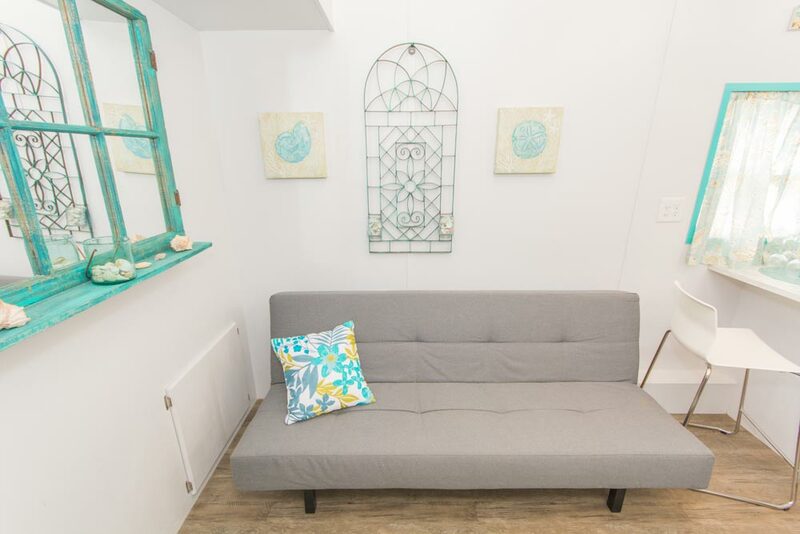 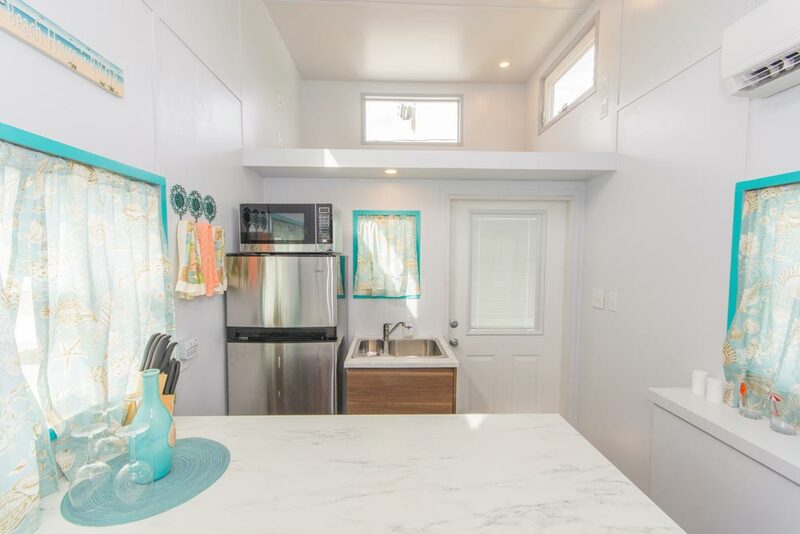 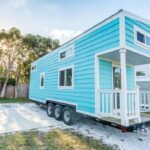 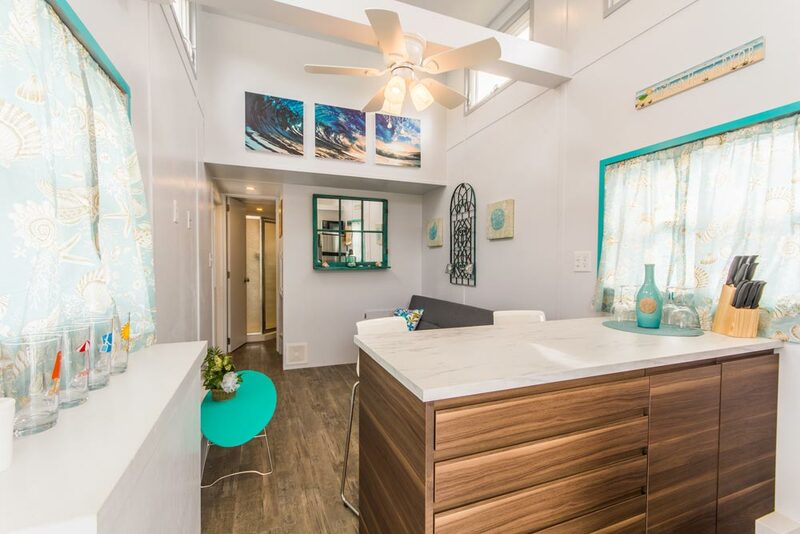 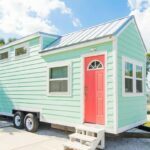 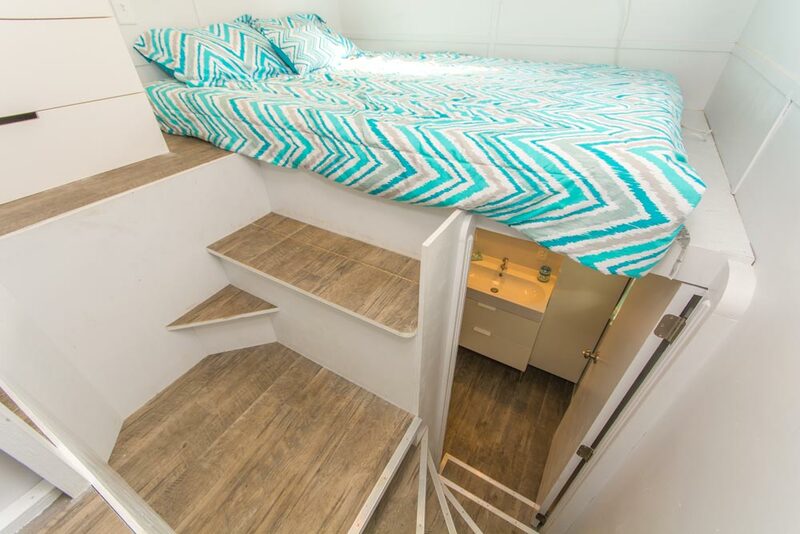 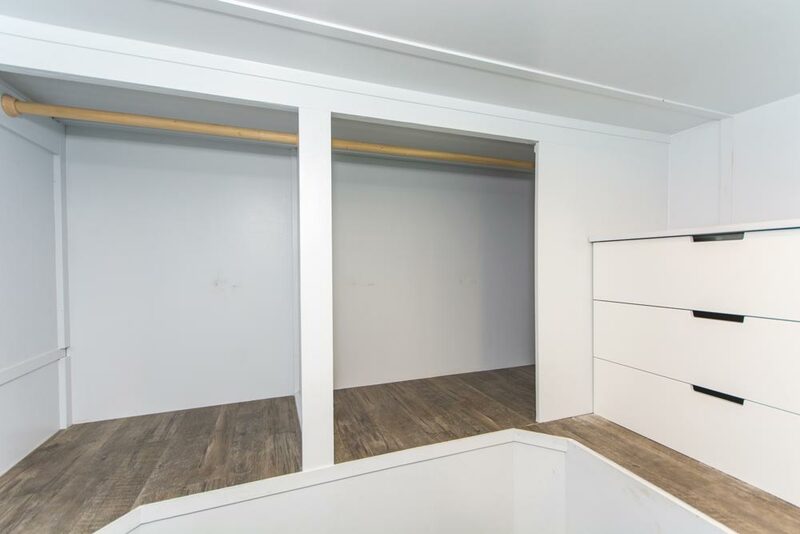 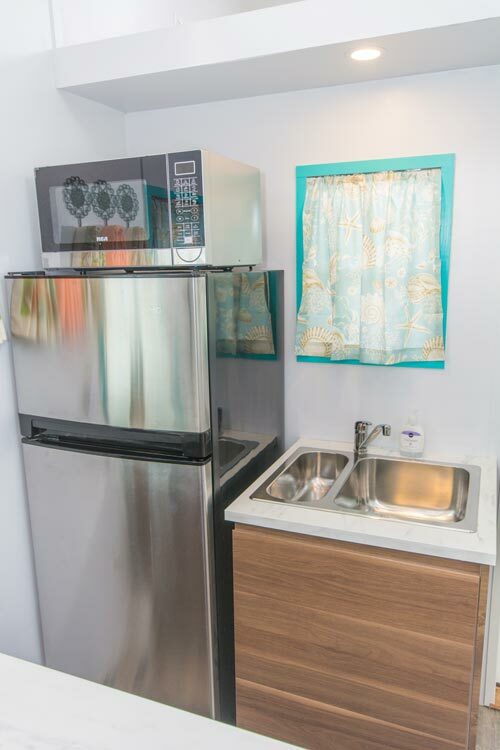 Built for the Tiny Siesta rental resort in Sarasota, Florida, the Sand Dollar is available for nightly rental and puts you within walking distant to Siesta Key Beach! 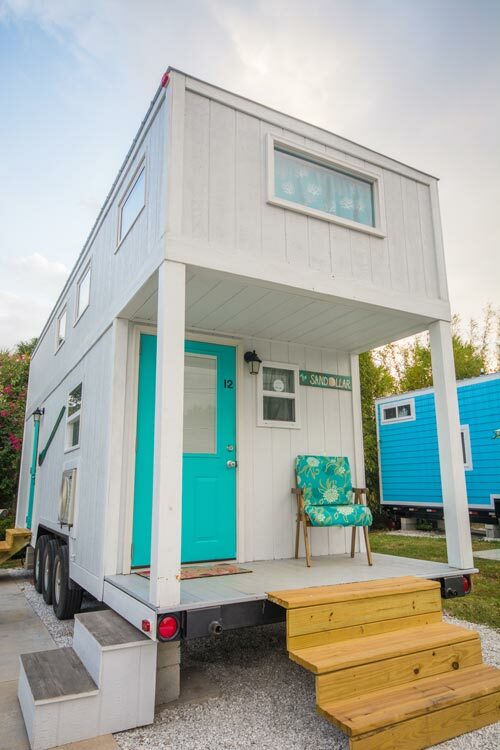 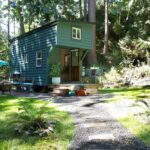 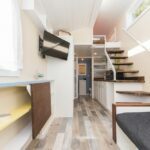 The 300-square-foot tiny house has two bedroom lofts and a cute front porch. 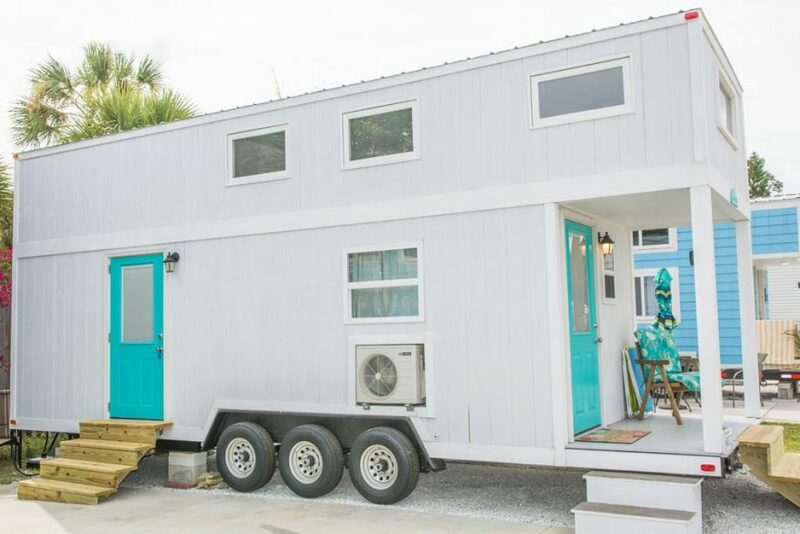 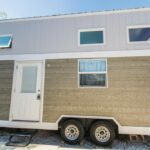 The Sand Dollar is the “big sister” to the Amy model, both of which were built by Lakeside Tiny Homes in Mississippi. 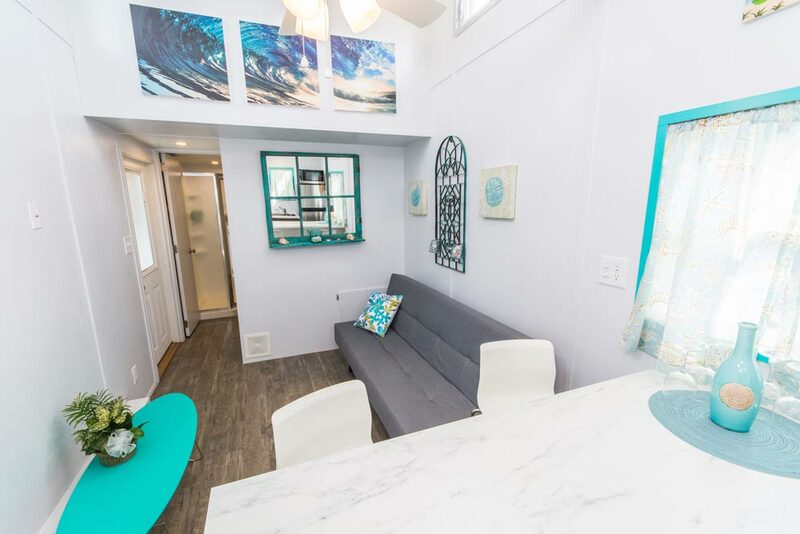 Inside the Sand Dollar are the two lofts, plus a modern futon that folds out into a sleeper, providing accommodations for up to six guests. 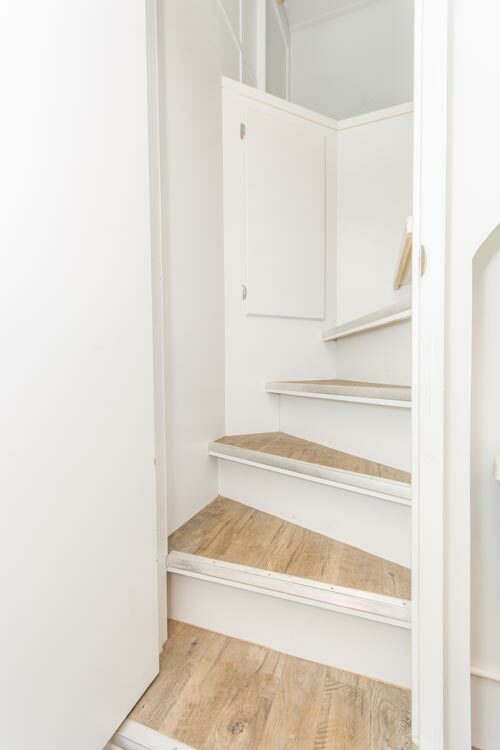 A spiral staircase leads up to the “penthouse suite” and a ladder provides access to the second loft that cantilevers over the front porch. 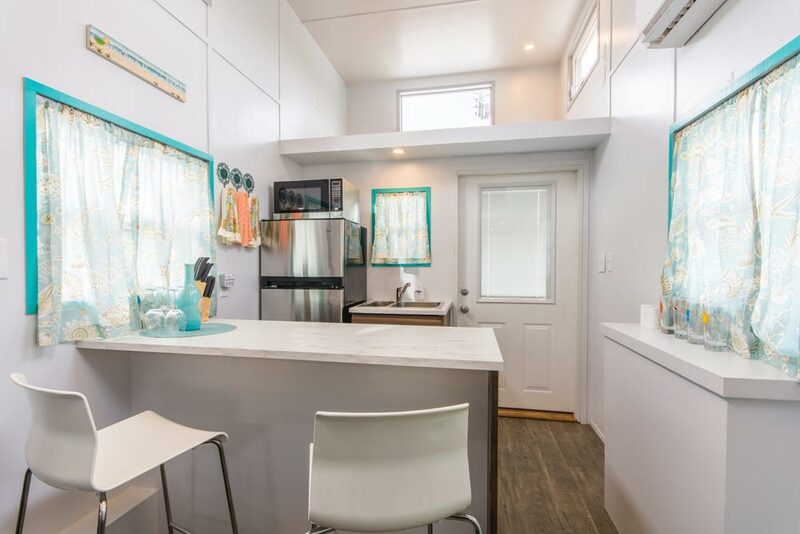 The kitchen and bar area provide guests plenty of space to visit and eat together. 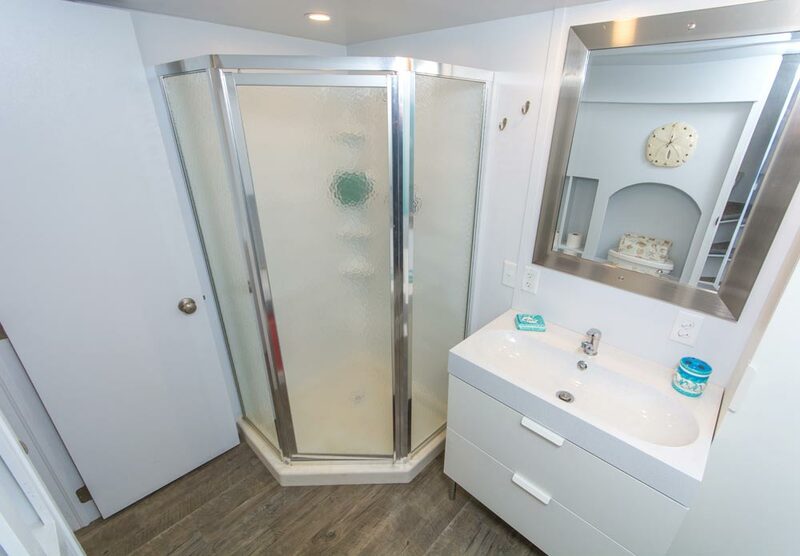 In the bathroom you’ll find a flushing toilet, corner shower stall, and an IKEA sink and wardrobe. 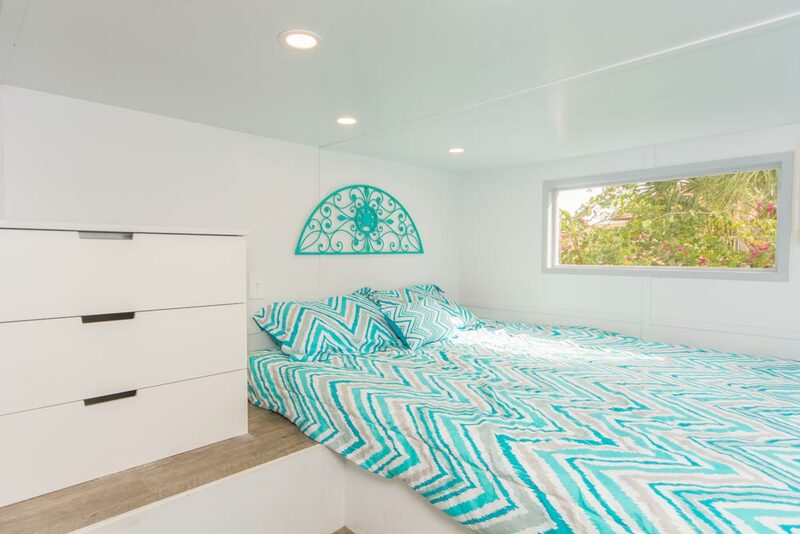 The Sand Dollar starts at $169 per night. 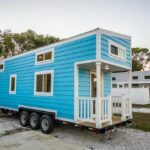 You can check availability and rates on Tiny Siesta.